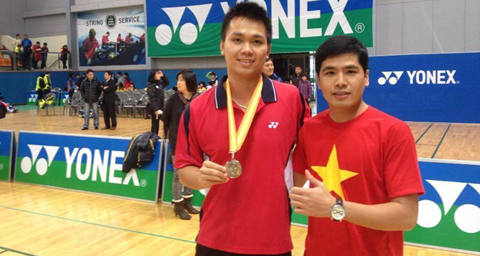 HA NOI (VNS) — Viet Nam's Nguyen Cao Cuong is seeded fifth in the world youth ranking of the Badminton World Federation (BWF). Cuong improved his ranking following his outstanding performance recently as a quarter-finalist at the Asian Junior Badminton Championships in Chinese Taipei, which concluded on February 23. Cuong will be supported strongly by the HCM City Sport Department to train in Indonesia until 2016, under coach Asep Suharno who has previously worked with world No 8 Nguyen Tien Minh. Next month, he will take part in the BWF World Junior Badminton Championships in Malaysia.